A restaurant in New York is offering a pizza for $2,000. According to WABC, Industry Kitchen in Manhattan’s Financial District is offering a pizza with actual 24-karat gold flakes for $2,000. That’s about $250 per slice. 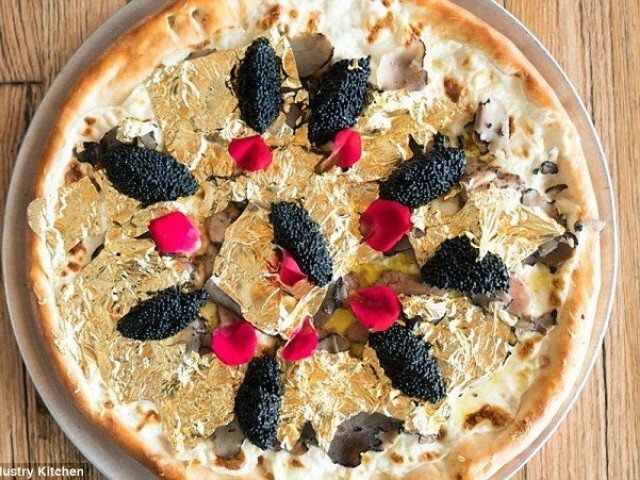 In addition to gold, the pizza is topped with other rich ingredients from around the world including foie gras and truffles from France, caviar from the Caspian Sea, and Stilton cheese from England. Apparently putting gold on food in New York isn’t a new idea, according to the New York Daily News, one restaurant launched a doughnut covered with 24-karat gold in 2016. For the gold topped pizza, Bunay says customers should order 48 hours in advance.